Rung prior to the Service of Induction of the Rev'd Dr Joe Kennedy, as Vicar of this parish of St Saviour, Oxton with St Andrew, Noctorum. William Harrison (Tower Captain) is associated with this Quarter Peal. Rung prior to the evening service on Harvest Sunday and to celebrate the Ministry of the Rev. Diane Watson (Past President of the Branch) who retires today as Associate Vicar of this Church. Rung on the eve of the funeral service of Minnie (Min) Martin (1921 - 2011). 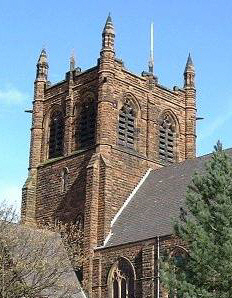 Min was a former ringer at this church and a life member of the Chester Diocesan Guild of Church Bell Ringers. Ernie Carvell and Margaret Allin wish to be associated with this quarter peal.